In the Assam Rifles Composite Hospital, the specialist doctor, General Duty Medical Officer has invited applications for recruitment of 35 vacant posts. Interested candidates can apply before the deadline by reading the given instructions. The last date for application is 14 October 2018. Candidates for these positions will be selected on the basis of interview and experience. 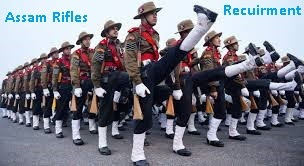 Educational Qualifications :- Visit the Assam Rifles Hospital website for educational qualification and other information or click on the link given below.